Tenacious. To be honest, it’s not a word I’ve ever used in a sentence except perhaps for when talking about the band, Tenacious D. To be even more honest, I wasn’t even sure how to use it. And I got it from Selfridges. Selfridges is not a place I normally shop in, but when I passed by the other night I had to stop and go in. 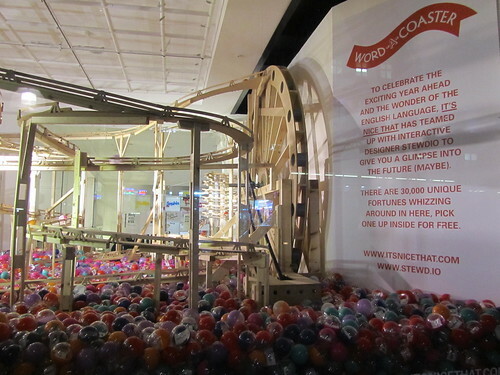 In the window there was a huge wooden rollercoaster and what appeared to be a ball-pool full of coloured balls containing words. This Word-A-Coaster is a project intended to celebrate the English language. It’s Nice That: Words Words Words has taken over the UltraLounge on the Lower Ground floor of Selfridges until March 1st, and this amazing Word-A-Coaster will be in the window for that period, too. For the showpiece corner window of Oxford Street and Orchard Street, we have collaborated with interactive designer Stewdio to create ‘The Word-A-Coaster’ a playful fortune telling machine. The 14 foot high hand-built wooden rollercoaster (constructed by model makers Atom) is surrounded by a sea of 30,000 brightly coloured balls filled with 30,000 unique fortunes that can be picked up in store for free. 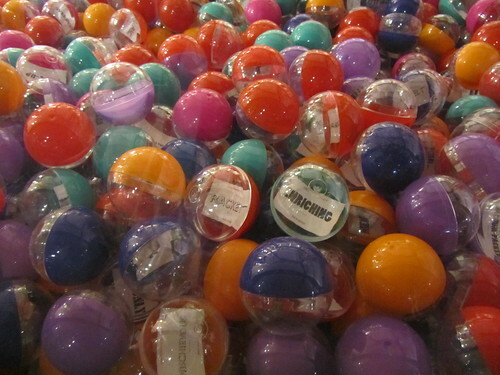 Inside the balls, shoppers will find a small card emblazoned with a uniquely numbered adjective, generated by a clever computer programme that leaves each individual with their own personal, playful prediction for 2012. When I went to Selfridges the Word-A-Coaster was unfortunately broken, but I was allowed to reach over and pick up a word anyway. 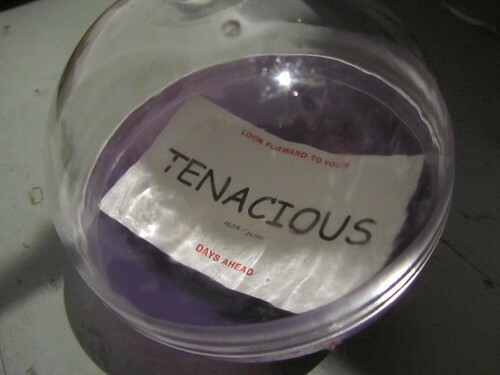 I got “tenacious”, and have been puzzling over it ever since. At first I thought it was a word with a negative meaning, but I then realised that it could also be positive. 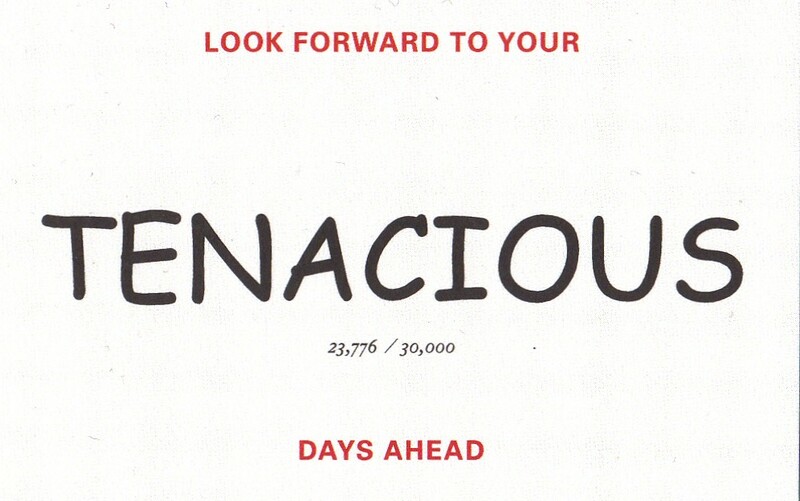 If I am to have “tenacious days ahead” this year, I think that means I will have to stick to my guns and be a bit stubborn about the things I want to achieve. So, losing weight and saving money it is! For more information about Words Words Words, please visit the Selfridges website.